Even in the face of increasing disasters, Guyana still does not have in place Mass Casualty Management [MCM] policies or even a national Incident Command System [ICS]. Without such measures in place Guyana essentially lacks the capacity to ensure that there is a cooperative response by multiple agencies, or, more importantly, to organize and coordinate response activities without compromising the relevant decision-making authority. But moves are apace to make this state of affairs a thing of the past. This development comes as Guyana takes note of the instances of natural disasters occurring around the globe and has therefore been working towards putting strategic measures in place. 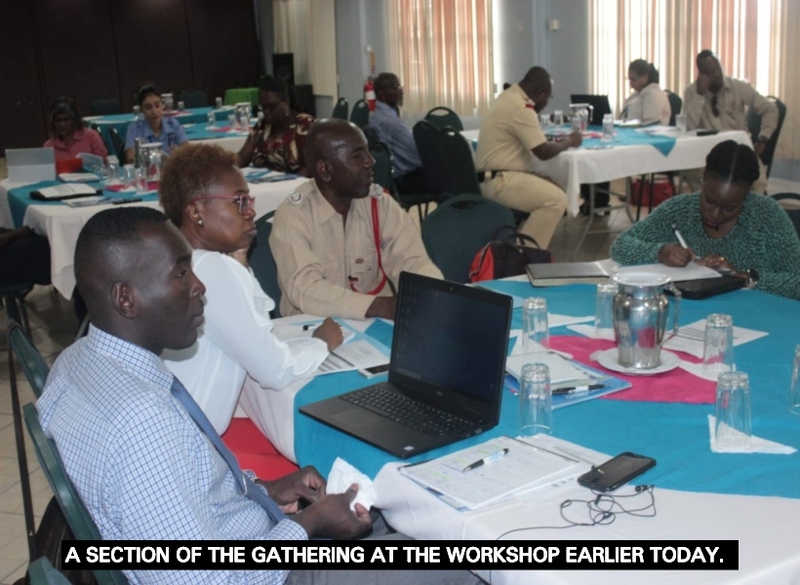 In this regard the Civil Defence Commission [CDC] in collaboration with Guyana’s technical partner, the Pan American Health Organisation [PAHO], today held a workshop to validate a draft National Incident Command System and Mass Casualty Management policies for Guyana. Speaking at the forum held at the East Coast Demerara Grand Coastal Hotel, Head of the CDC, Major Kester Craig, noted that the mandate for disaster risk management in Guyana has been expanding and advancing over the years. This, he said, is highly justifiable considering the vast increases in the number, frequency and intensity of disasters and emergencies occurring across the globe, resulting from both natural and anthropogenic hazards. It was in recognition of this fact Craig said that there has been a noticeable willingness to embrace collaborative planning and response to emergency situations and disasters. Even as he considered that during mass casualty incidents the local healthcare system can be easily overwhelmed if there is no system in place, Craig noted deliberate efforts will be made to address the prevailing gaps. He disclosed that through the CDC/PAHO collaboration systems will be established to ensure that disaster response is done in a comprehensive and systematic way. “Today’s activity is, not only because of what it will add to the country’s resilience, but more importantly because clear policies for ICS and MCM will help to save lives and safeguard our resources,” Craig asserted.